I slipped a disc at Christmas last year and had been in discomfort for 5 months as the disc had trapped a nerve in my back... After my first (Dorn) treatment I felt the feeling start to come back to my foot almost straight away.I think the treatment is fantastic and have recommended it to everyone I know. Success doesn't have to be complicated! Dorn is gentle, safe, and what I can only personally describe from my own experiences as a very effective therapy - and one that is also thankfully quite easy to learn! Dorn now boasts more than 40 years of history and is growing in popularity throughout the world. I'll say straight away that the Dorn Method does not go into the same depth of detail that say Osteopathy does, but this does not mean Dorn is not as effective for helping with many common back and join pain health problems, and indeed the vast majority of my clients are extremely happy with results. The Dorn Method instead is simply a set of non-manipulative special techniques which provide a gentle and safe way to correct common misalignments of the Spinal Column and other joints, and in so doing helping to relieve common back and joint pain along with associated problems areas such as neck pain, headaches, hip, sciatica, jaw, knee, shoulder and other common problem areas. It is also a self help therapy, free of unpleasant side effects, completely safe with no medication being required. People who come for Dorn therapy are shown very simple tips and techniques to take away with them so they can help themselves to stay pain free. Nothing makes me happier than to see people go away after a Dorn session feeling so much better than when they arrived! 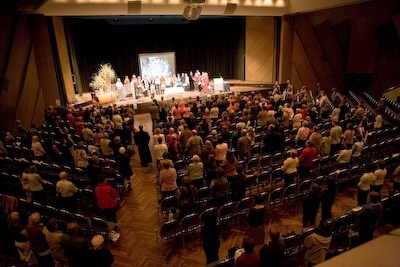 I've simply found the Dorn Method to be an extremely effective technique, finding that many people report immediate, positive results and require only a few sessions. In my position I also get to hear many success stories from Complementary Therapists who've learned this amazing skill, backing my own findings with their own reports which document excellent client feedback. What is the DORN METHOD? Dorn consists of a range of simple exercises and techniques which aim to help joints and vertebrae slip back into their natural positions using a unique approach which involves the active participation of the client. A range of simple after care exercises are also provided for clients to take away and practise in order to help them benefit over the long term. For example, clients are shown simple, easy to learn short exercises to perform each day to help keep the hip and the lower back in place. The Dorn Method is a combination of three parts, which together provide an overall maintenance and preventative joint care system designed to look after the body over the long term. As well as the actual therapy, which focuses on looking for and correcting imbalances within the body, Dorn also promotes the use of better posture in day to day life. For example, simple suggestions include not sitting crossed legged or not slouching whilst seated in front of the computer at work; these are typical bad habits we fall into, and which over time can lead to health problems. Dorn also teaches a set of simple, easy to learn self-help exercises which are designed to be taken away and practised at home to maintain balance in the body and good health over the long term. A few minutes spent each day for example on a simple leg length correction excercise, can help to keep the hip joint in place, and the spine sitting straight. For more information, why not visit the Dorn Method FAQ page. If you would like to ask me a question, please feel free to call me on the number above, or email me. 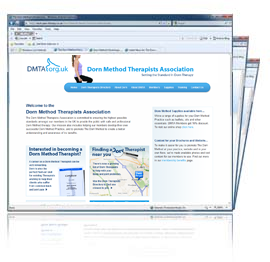 Dorn Method Therapists Association website which has more information about The Dorn Method.